We’re into the final week of the year… it’s a week when many folks choose to slow down, take some time off, or otherwise focus attention away from their business for a while. There’s nothing wrong with that. We all need downtime. But it’s also the last week of the year, which means a last opportunity for 2016 business expenses to go onto this year’s taxes. And I’d suggest you make a small investment now that will pay off for the entire next year (and into the future). 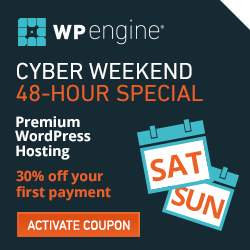 My friends over at WP Engine have a great deal to wrap up the year. WordPress updates are installed for you, helping to keep your site secure and ensuring you have the latest features for your site. High-speed performance caching is handled by your server, without you needing to install or configure a complicated caching plugin. Security protections are in place both on the server and in your WordPress installation to help keep your site free from malware and hacking attempts. You don’t have to install or configure anything – it’s there as soon as you set up your account. Website backup is automatic – once per day, with the ability to perform ad hoc backups at any time when you want to make changes to your site. Free, automatic migration from your existing WordPress host using their migration plugin. I used this myself earlier this year. This is a managed web host – they manage a lot of these tasks that would otherwise require manual work on your part, the purchase of additional plugins, or would simply be neglected, leaving you vulnerable or without a solid website. To wrap up the year, WP Engine is offering a great deal: 4 1/2 months free on a new annual account. If you don’t want to make an annual commitment right away, you can still get 25% off your first payment. Those links get you their awesome year-end deal and a small commission comes back to support Photowebo. We all hope for the best, but sometimes bad things happen. And if bad things happen to your website, you’ll want to have a reliable backup of your site so that you can get back up and running as quickly as possible. What sorts of bad things might happen? You might accidentally delete some files. There might be a problem with an upgrade to a plugin. Perhaps your web hosting company makes a mistake or has a hardware failure. Let’s look at how WordPress backup works, options for backing your site up automatically, and what managed web hosts bring to the game. Knowing how to backup a WordPress site is an important thing to understand. To back up the things that make up your WordPress website, there are two separate things that need to be backed up. First is the WordPress database, which contains all of your posts and pages along with configuration options. The second is the set of files that make up your WordPress site. This will include the core WordPress software, plugins and themes, and images or other media that you’ve uploaded to your site. If you only back up one of these two components, you won’t be able to recover after something bad happens. You need both parts to restore your WordPress site. BackupBuddy is a plugin developed by iThemes. It provides full backup services for your website, and offers flexibility to either store the backups on storage provided by iThemes (Backup Buddy Stash is included with your Backup Buddy purchase) or you can back up to Dropbox, Google Drive, Amazon, or other file storage. If you use a feature called Stash Live, introduced in early 2016, you’ll also get real time backups for changes on your site. BackupBuddy also includes an easy tool for moving your site between web hosts which can help if you ever move to a new web hosting company. BackupBuddy starts at $80/year. Find out more about BackupBuddy. VaultPress is run by Automattic and offers a variety of features, starting at $5/month. Even the basic plan involves daily backups, automated restores, and a 30-day archive of backups. Higher-level plans add security scans and realtime backup. While it’s not as fully featured or configurable as BackupBuddy, it’s a solid backup option. Find out more about VaultPress. Both BackupBuddy and VaultPress are established premium services that have been in the WordPress space for a long time. If you’re not willing to spend any money on a backup service, another option is the free BackWPup plugin. You’ll need to do a bit more cnfiguration, and you’ll need to have your own storage for the backups (Dropbox, S3, Azure, etc). While most shared (cheap) web hosts don’t perform backups of sites, many of the managed (premium) WordPress hosts do include this service as part of their offerings. Backup is one of the services they manage, hence the premium price for hosting. A managed host such as WP Engine will perform frequent automated or on-demand backups, all managed through a user-friendly interface and at no additional cost beyond your hosting fees. When you’re on the fence over shared vs. managed hosting, consider the advantage that managed hosts can offer with included services. host and rest easier knowing that you have another layer of protection for your online presence. As you may have seen in our WordPress web hosting recommendations, WP Engine is a top pick, offering solid managed hosting services that I’ve used personally for multiple websites. They’re currently offering an excellent deal for new customers. Get 3 months FREE hosting when you prepay for a year – just hit this link and use code “OctoberPress14” when you register. You’ll get reliable managed hosting, save some money, and by clicking through via WP Photographers you’ll help support the continued operation of this site. 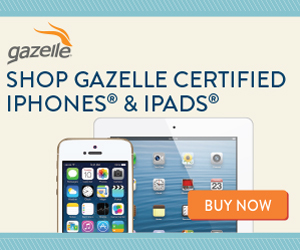 Act soon though… this offer expires 10/31/14. Regardless of your area of expertise, potential clients are finding (and judging) you based on your website. Since you’re here I’m guessing you’re either using WordPress or considering it for your photography website. One challenge that some have with WordPress is how to make changes to the site without fear of breaking the site. It’s easy to update content (blog posts, photos, static pages) on a WordPress site without fear of breaking something… but when you’re talking about updating the theme or plugins, there’s always a bit of uncertainty wondering if a change will cause something to look horrible or (even worse) result in a catastrophic error. Smart web developers don’t try out new changes on a website that’s currently live to the world… they set up a test environment. They might have a separate WordPress install on their server or even on their development machine. Odds are that if you’re not a web developer, you don’t have this option available. If you’re the average photographer, the only WordPress site you have is your live, public website. So how do you test changes without potentially crashing your site? The answer is a staging site – a special copy of your WordPress website designed for testing. Both companies in our recommended best WordPress web hosts offer staging sites. WP Engine includes it with every account; SiteGround offers it as part of their “Go Geek” plan. If you’re not on one of these hosts, check to see if your current web host supports a staging site (and if they don’t, this might be a reason to switch). I’ve used WP Engine’s staging feature extensively for both my photography business website as well as another project. With a couple clicks, it creates a clone of your existing website. This staging site then contains all of your plugins, theme, blog posts, and pages. You can make changes to the staging site and view all the results on an actual website using your actual data. If things work well, you can make those same changes on your main website and you’ll know that it’ll work. If you accidentally break your website, there’s no real harm since you can troubleshoot and fix the problem using the test site that’s only being seen by you. Once you’re done making changes on your staging site, it’s just a couple of clicks to have those changes applied to your main public website that’s visible to the world. How much more comfortable would you be making changes on your website if you could do it first in a testing situation?